Last year I decided to venture out of my comfort zone and meet more people in Tucson. I joined a local brunch group and found many of them to be bloggers. Because of that group my interest in blogging was pique and joined a Tucson blogger group. Through that group I met a great number of amazing women, one of which is Mandy Rena. 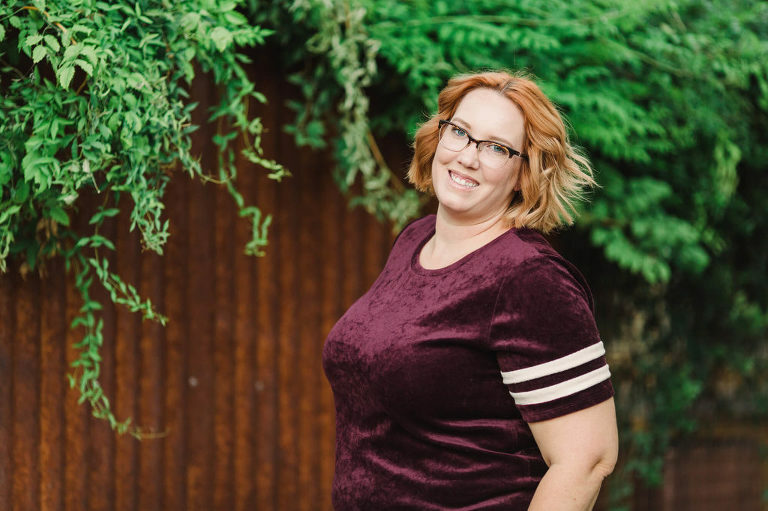 A Tucson blogger blogging about everything from parenthood to home renovation. Since Mandy is a budding photographer, we decided to get together to shoot some photos of each other for our blog. We found an amazing little neighborhood not far from downtown Tucson. As soon as we arrived I fell in love with the location. It was small, quaint, filled with color and visually stunning. 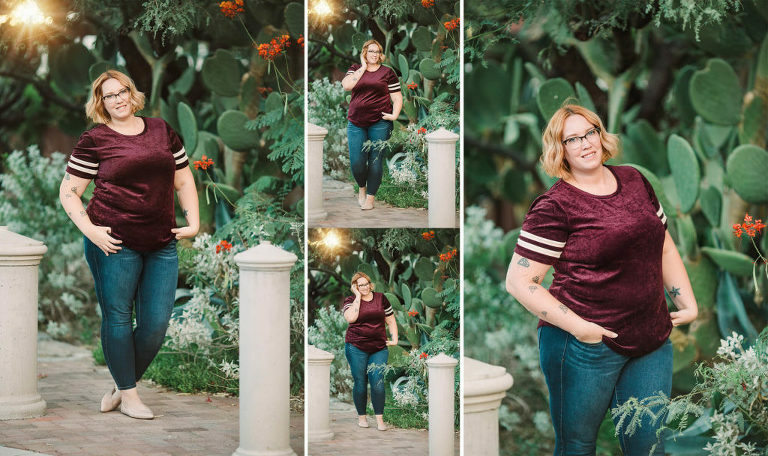 It afforded us a large variety of backdrops, from green prickly pear to chic desert urban. Mandy and I took turns photographing one another in various locations and different outfits. We got a few sideways glances from neighborhood residents, but enjoyed our time and took some amazing photos. We began in the middle of a street to capture the setting sun next to a gorgeous cream stucco building. The light in that location paired with the surroundings had me drooling. Mandy changed into a maroon tee and I found some incredible green landscapes that created a gorgeous contrast. By the time Mandy changed into her third outfit we were chasing the light, and battling the cold. Nearby was an area of the neighborhood where the settling sunlight wasn’t completely lost yet. Consequently, I quickly posed Mandy in a gorgeous bougainvillea lined courtyard that was luckily facing the remaining light. And with the last moments of setting sun, captured a few more on the facing street. Overall we had a wonderful time!